Born in 1944 on a ranch in Ravenscrag, Sask., he grew up in a family of 12 children. He followed older brother Frank to the race track at Lethbridge, Alta., where Frank became a rider and Harold a groom and very quickly a trainer. 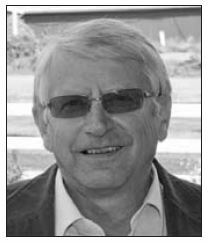 He was the leading trainer on the Calgary/Edmonton circuit in 1969 and 1970. Barroby made his first whistle stop at Hastings Park Racecourse in 1969 when he saddled Sioux Cadet to upset a quality field in the Winston Churchill Stakes. 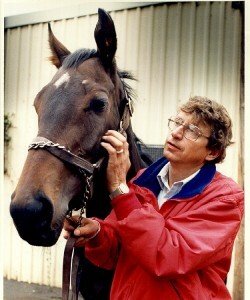 A year later he joined forces with Canada West Ranches main owner Jimmy Shields and in 1974 moved to British Columbia. Canada West quickly became the perennial leading money-winning stable. In all they had 54 stakes winners and a total of 180 stakes wins, eclipsing by far their closest rivals. Before he died in 1996 Shields said there would be no Canada West Ranches if it weren’t for Barroby’s expertise and Barroby said there would be no CWR if it weren’t for Love Your Host, a gelding by Your Host, the sire of the immortal Kelso, America’s greatest handicapper. Barroby, who turned73 the year he was inducted, attributed some of his early success to the fact that he personally galloped most of his stock, which gave him first-hand knowledge of their ability. “I get them fit and I run them.” Prior to the 2017 season his career wins totaled 1,696 and by the time he steps to the stage tonight, he should be a member of the 1,700-win club. He is proud of the fact that he has trained the winner of every Derby in Western Canada. Barroby remains an active trainer, but he’s cut back his operation with fewer horses, having less than 100 starters yearly over the past three seasons. He saddled his first winner in 1964 and his horses have earned more than $17 million.